If you have a sizable sum of money that needs to be placed somewhere, and the stock market seems too risky or complicated, and the idea of placing your money in a bank just doesn’t appeal to you, an annuity can be a great option. In short, fixed annuities provide a safe place for your money with a competitive, guaranteed rate of return and can produce an income stream you can’t outlive. An annuity is a contract between you and an insurance company to cover specific goals, such as principal protection, lifetime income, legacy planning or long-term care costs. You buy an annuity because it does what no other investment can do – it provides guaranteed income for the rest of your life, no matter how long you live. What do you want the money to contractually do? When do you want those contractual guarantees to start? An immediate annuity begins paying income (almost) immediately. Once you make a single lump sum payment to the insurance company, it begins paying you income one annuity period after purchase, which can be 30 days to one year later, depending upon how often you elect to receive income payments. Deferred annuities provide tax-advantaged saving and lifetime income. With a deferred annuity, you begin receiving payments years or decades into the future. In the meantime, your premiums grow tax-deferred inside the annuity. 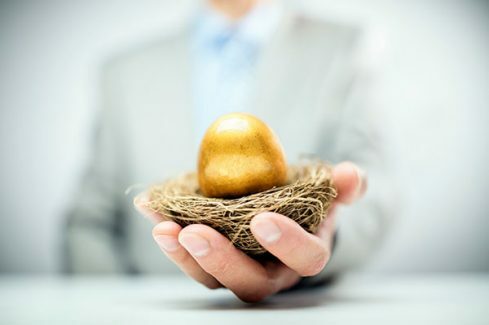 They’re often used to supplement individual retirement accounts and employer-sponsored retirement plan contributions because most annuities have no IRS contribution limits. A fixed annuity can be used for principal protection. Fixed annuities pay a guaranteed minimum rate of return and provide a fixed series of payments under conditions determined when you buy the annuity. During the accumulation phase, the insurance company invests the premiums in high-quality, fixed-income investments like bonds. Because your rate of return is guaranteed, the insurance company bears all of the investment risk with fixed annuities. Annuities may have early withdrawal penalties. Certain deferred annuities have surrender charges if you withdraw your money early. However, nearly all companies give you access to at least the interest, with many allowing you access after 12 months to either 10 percent of your original premium deposited, or 10 percent of your account value. Riders provide additional benefits at a cost. You can attach additional benefits or protections to your annuity contract through contract riders. Riders can be used to enhance an annuity’s income, legacy or long-term care provisions. However, all riders come with an additional fee that’s charged for the life of the policy, and each additional rider reduces the current income you receive. Annuities aren’t for everyone. But if you do decide to go with one, you’ll want to have enough non-annuity money accessible to cover unanticipated expenses, as well as some of your planned living expenses. For most people, this means putting about 25 percent of their retirement assets into an annuity. Whether you live long or not, annuities are about guaranteed protection. We buy homeowners insurance the same way, and we don’t regret buying a policy just because our house never burned down. For more questions or to visit with an annuity specialist, contact us today!